A team of international scientists, including a mathematician from the University of Southampton, has gained further confirmation of the existence of gravitational waves – ripples in space-time caused by violent astronomical events. 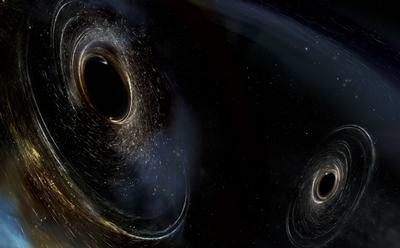 This is the third time that the Laser Interferometer Gravitational Wave Observatory (LIGO) has detected the ripples, generated when two black holes collide to form a larger one. The black hole that was formed has a mass 49 times that of the sun. Before the groundbreaking first detection of gravitational waves in 2015 – caused by the formation of a black hole with a solar mass of 62 – scientists were unaware of the existence of black holes larger than 20 solar masses. This is the third such signal to have been found by the scientists working with LIGO data, which confirms a key prediction of Albert Einstein’s 1915 general theory of relativity. The black hole is located about three billion light years from Earth – the furthest of the three events so far discovered. The latest detection, called GW170104, was made on 4 January 2017 and is described in a new paper published this week in the journal Physical Review Letters. 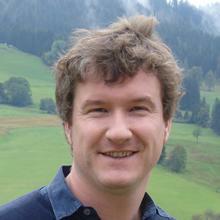 University of Southampton mathematician Dr Ian Jones is part of the LIGO Scientific Collaboration (LSC), a body of more than 1,000 international scientists who perform LIGO research together with the European-based Virgo Collaboration. Dr Jones has spent 14 years working on gravitational wave detection. Along with colleagues in Mathematical Sciences, his focus is gravitational waves generated by neutron stars – extremely small, dense stars which are the collapsed remnants of much larger stars. He added: “Now that we have demonstrated that we can detect gravitational waves from black holes, the prospect of detecting waves from neutron stars is even more exciting. LIGO made the first ever direct observation of gravitational waves in September 2015, with the second observation following in December 2015. The detected waves were all caused by the tremendously energetic mergers of black hole pairs. These collisions produce more power than is radiated as light by all the stars and galaxies in the universe at any given time. The latest observation provides further clues about the way in which these pairs of black holes spin, and how they are formed in the first place.